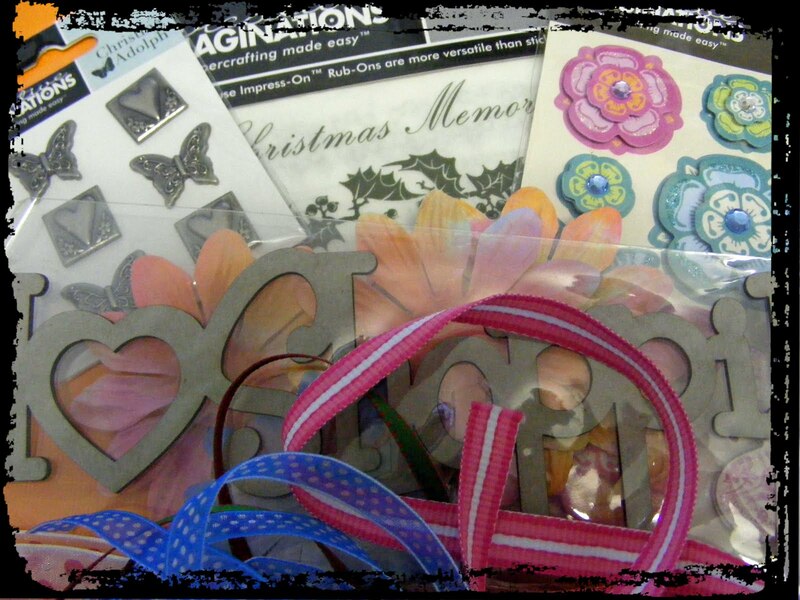 A HUGE thanks to the girls at Scrap With V for this gorgeous RAK received today. Sadly only one person entered last months sketch challenge there, and that lucky duck was ME ME ME! So here’s a couple to get you going…..
Just to name a couple! There are tonnes of them to be found. Inspiration…….look at this gorgeous photo of yummalicious (hmm is that even a word?) items I got from ScrapWithV – Thanks Girls 🙂 Much appreciated! This entry was posted on September 8, 2009 at 5:33 am and is filed under Uncategorized. You can follow any responses to this entry through the RSS 2.0 feed. You can leave a response, or trackback from your own site. Wohoo Congratulations girl !! So well deserved cause your Lo was gorgeous !!! look at all the yummy stuff !! cant wait to see what you create with that " I love shopping " Classic !! You lucky girl!! I agree with Tina, its a fantastic LO so you deserve it!! Ya ya Tina, thy cake will be done! Can't have a bunch of preppies running around tomorrow cakeless now can we? LOL And as for the I Love Shopping chippie….mmmm only shopping I lurve girl is scrappy shopping… the rest is just a mindless chore!